We’re here to help you achieve your estate agency goals. Whether you’re buying, selling, renting or letting a property - our team can assist you every step of the way. Dewsbury is a lovely place to live, and has lots of different types of properties. To find out more, either give us a call, or pop into our branch. Hunters Dewsbury boasts a full range of properties, including modern apartments, terraced properties, period townhouses and new build developments. The area, therefore, attracts a spectrum of buyers and tenants looking for properties to buy and rent in Dewsbury. It also attracts a large amount of investors as the rental yield is particularly appealing. Prices range from as little as £50,000 for a modern apartment (which is an ideal investment opportunity) to properties worth in excess of £1 million for a more unique exclusive property. We are part of the Hunters network, which has many branches across the UK. Our aim to be the market leader in our area - raising the standard in Dewsbury and standing out from other agents. 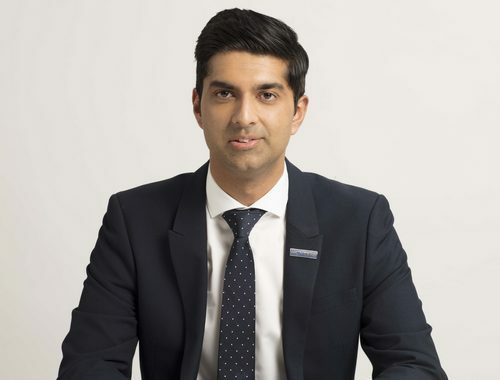 Hunters Franchisee Ashraf Esat says: "Having completed my Law Degree I joined a local Law Firm where I worked as a Conveyancer for 12 years. “I have over 18 years of experience in dealing with properties and having been born and bred in Dewsbury I am very familiar with the area. “I am very excited to be part of the Hunters network and my team will provide you with an excellent customer experience." Sell your property in Dewsbury with the help of Hunters. Our friendly team can help you achieve a sale you’re satisfied with. We’ll begin by offering you a free valuation of your home. This can either be done online (click here, it only takes a couple of seconds), or in person. If you want us to come to your property, give us a call. We’re available on 01924 663222. Our sale went through with no problems at all. We achieved a quick sale at more than the asking price so we can't complain at all. Staff are there throughout the process. Would definitely recommend. I used Hunters to find a Property for Rent and they were brilliant from start to finish. The Staff understood my needs and they helped me find something and guided me through the process which was very smooth. I would definitely use them again and would recommend them to any Landlord as they are very professional. Click to view preferred suppliers for Hunters Dewsbury. VAT Reg No: 202 7675 09 | Registered No: 09121945 | Registered Office: 19 Chadwick Crescent, Dewsbury, WF13 2JF. A Hunters franchise owned and operated under licence by A.Y.Z.I. Estates Limited. 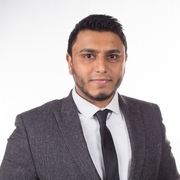 Ashraf is the Director of Hunters Dewsbury and has an excellent knowledge of Property in Dewsbury and surrounding villages, having lived in Dewsbury all his life. 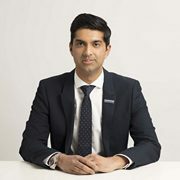 With his legal background he also has a vast knowledge of the legalities and the Conveyancing process and this also allows him to give Sellers, Buyers, Tenants and Landlords an added insight into transactions. He is also great with people having worked in a customer facing environment all his life. He is also one of our Branch Valuers and you will often see him driving around in the Hunters Mini. Outside of work he is a very keen Sportsman and is a follower of his beloved Leeds United and is also a father of 2 Children. Nicola is the heart of the Office and she knows exactly what is happening on each Sales Property!! Nicola has over 20 years of Property experience and she has an excellent knowledge of Dewsbury and surrounding areas. She is an experienced Sales Negotiator and her sales progression skills are second to none. Nicola enjoys working with people and this is proven by the amount of chocolates and flowers that are delivered to the Office when she completes a Sale. She is a very keen traveller and spend weekends entertaining her Grandchildren. Imran joined Hunters in 2016 and his progression has been excellent. Imran is becoming an excellent Negotiator and he also does our Company viewings. He takes great care before going to any viewing and is always armed with the pertinent details of the Property that is being viewed. Imran is a keen follower of Manchester United and is also a father of 2 Children. 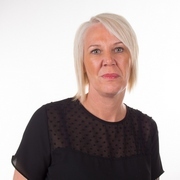 Sue is our Lettings Manager and she has over 20 Years of experience in the Lettings Industry. 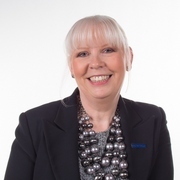 She always remains calm in all situations no matter what Tenants and Landlords may throw at her and Sue is very well respected in the Industry. Sue is very experienced in Sales and Lettings valuations and she is also an excellent Negotiator. Sue also enjoys travelling. Dewsbury is a market town in the West Yorkshire region, located to the south of Leeds, east of Huddersfield and west of Wakefield. It is well known for its very popular indoor and outdoor markets. Residents from the neighbouring towns and villages, such as Batley, Mirfield and Heckmondwike come to visit them on a regular basis. With a population of approximately 62,000, Dewsbury is naturally a lot smaller than the surrounding cities, but is one of the bigger towns in the area. There’s lots of things to love about Dewsbury. We’ve put together a brief guide on this great town. Dewsbury boasts a number of landmark buildings. That includes Dewsbury Town Hall, Empire House and Pioneer House. The latter of which is undergoing substantial redevelopment. Visitors will also enjoy the Dewsbury Museum, based in a spectacular estate at Crow’s Nest Park - which includes 70 acres of beautiful lawns. he close proximity to Leeds and Huddersfield also means there’s always something exciting going on nearby. The town of Dewsbury is a nature lovers dream. There’s lots of parks and walking trails, completely unspoiled. Crow’s Nest Park, which we’ve already mentioned, is a fantastic place to visit in summer, and absolutely beautiful when it snows in the winter. Kids love the local parks too, as there’s a lot of playgrounds and recreational activities. Parents will be delighted to know the local schools are typically of a very good standard, from primary right through to sixth-form. Both Leeds and Huddersfield are home to excellent universities too. You don’t have to travel far at all for a top education. Dewsbury is home to lots of excellent restaurants, serving a wide variety of different foods. It doesn’t matter what you’re in the mood for. A classic British dish, some authentic Middle Eastern cuisine, or your favourite Italian comfort food. This town has it all. From the high-end restaurants, to the more affordable local takeaways. There are also a number of fantastic pubs in the Dewsbury area, serving traditional pub grub, and some amazing beers. It’s not just the food people love in Dewsbury - it’s the entire dining experience. You won’t be stuck for somewhere to eat here. Dewsbury is quite a diverse town. There are some luxurious properties available to buy or rent here, but also many that are more affordable. The average price of a property in Dewsbury is approximately £132,397 - which is a lot lower than other areas nearby. Obviously the overall cost will depend on the type of property you want to buy. A terraced house, for example, will cost a lot less than a detached home. The latter can set you back anywhere between £300k and £1.2 million. If you’re interested in purchasing a house in the Dewsbury area, then enlist the help of Hunters. Our experience in the area can ensure you get what you need. Browse properties currently on the market by clicking here.